Twotoneatl.com is platform for promoting and portraying all things velo below & beyond the Mason-Dixon based in Atlanta & Freiburg. 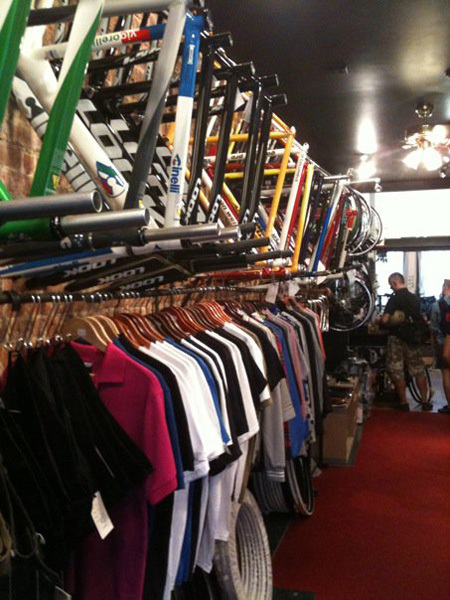 After spending 2.5 years helping open & run an Atlanta bike shop, I continue to get the word out on local and national events, races, products and other personal cycling adventures here. From one of the most beautiful cities in Germany, European Touches is a cycling coverage column highlighting shop visits, races and events throughout Europe. One of a select few cyclists to complete the Rapha Festive 500 challenge, he chronicled his epic accomplishment in hilarious illustration here.